Yesterday I attended the N.Y.S. 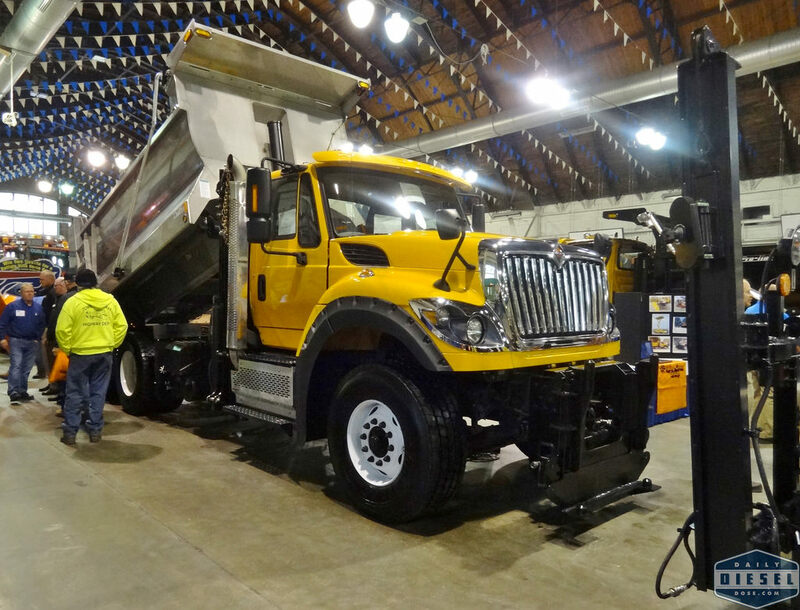 Highway & Public Works Expo which is the place to display and see all the latest and greatest technologies of the snow fighting industry. 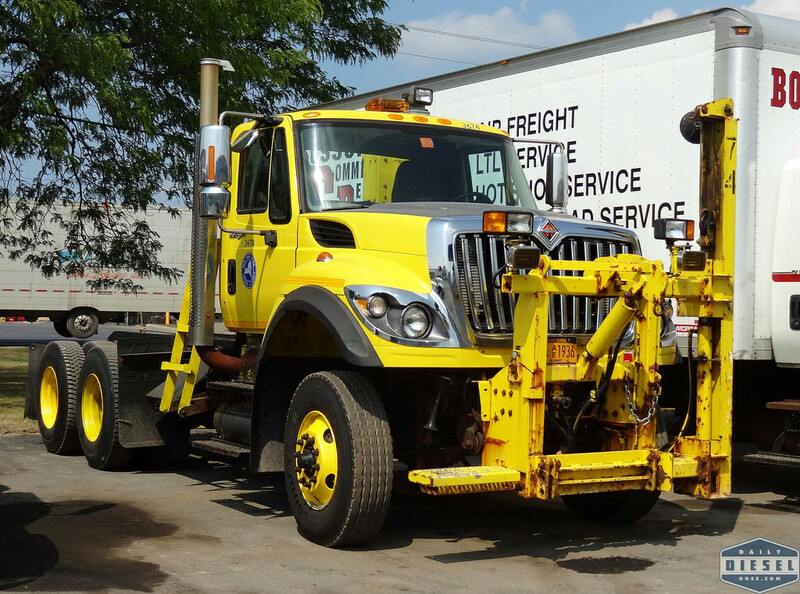 The Center of Progress building at the NYS Fair was jammed with trucks, loaders, and all other manor of equipment. 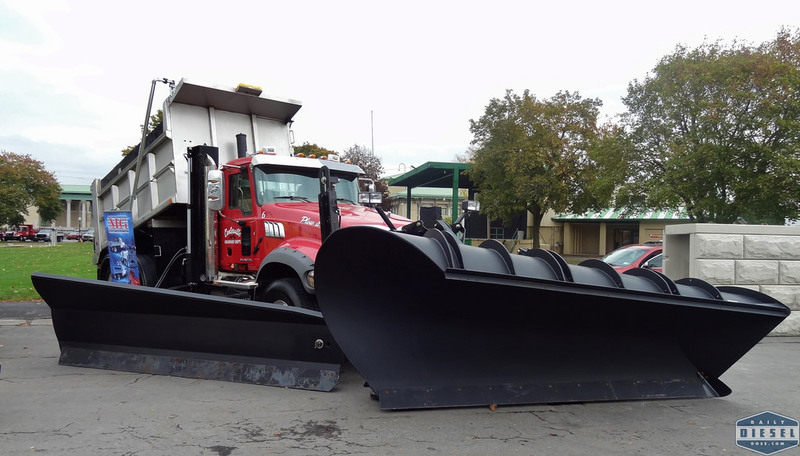 It was there I saw the first new International PayStar setup as a snowplow. 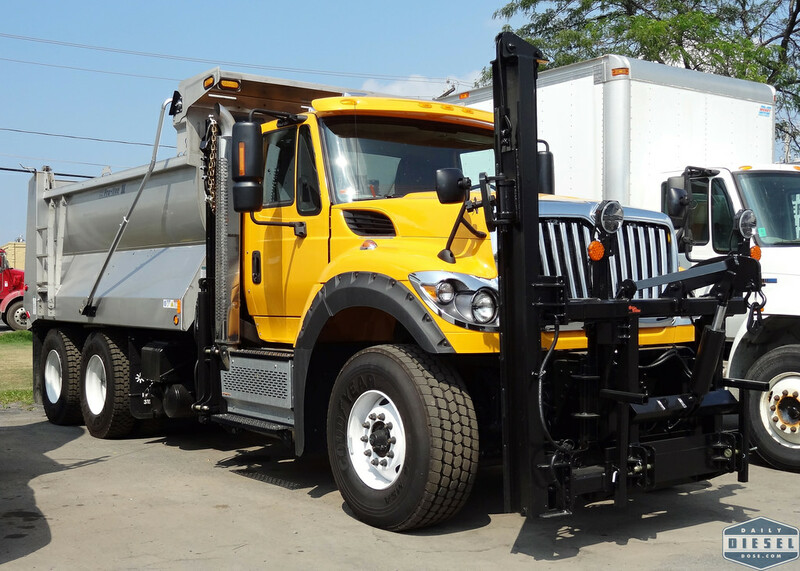 Since the introduction of the Caterpillar line of trucks the PayStar seemed to all but disappear. Now that partnership between International and Cat is drawing to a close I suspect I’ll see more of these trucks around. The 2016 model year will see a new style of this model along with a new naming convention, the HX. You may have seen this truck floating around social media the past few weeks. It’s a Kenworth T-470 painted from top to bottom in pink to raise attention for breast cancer research. 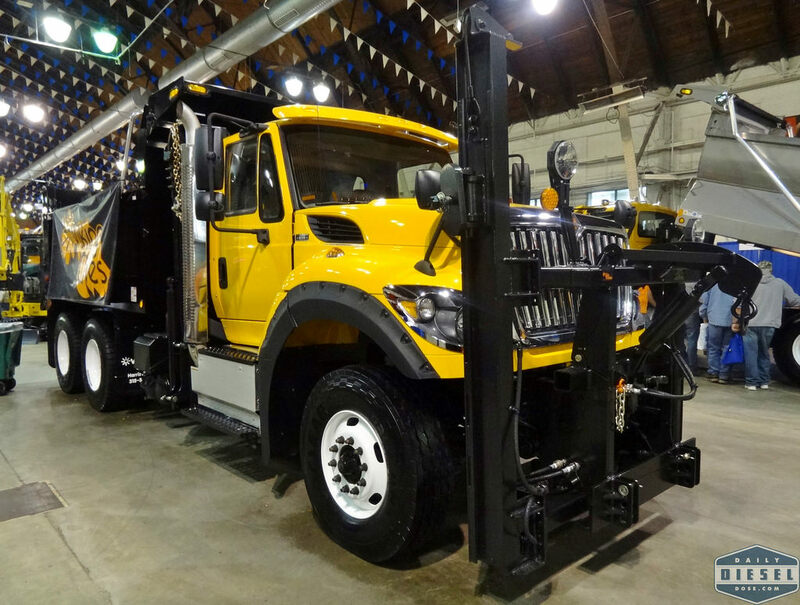 This is the actual color the truck will wear will delivered to an unknown municipality. 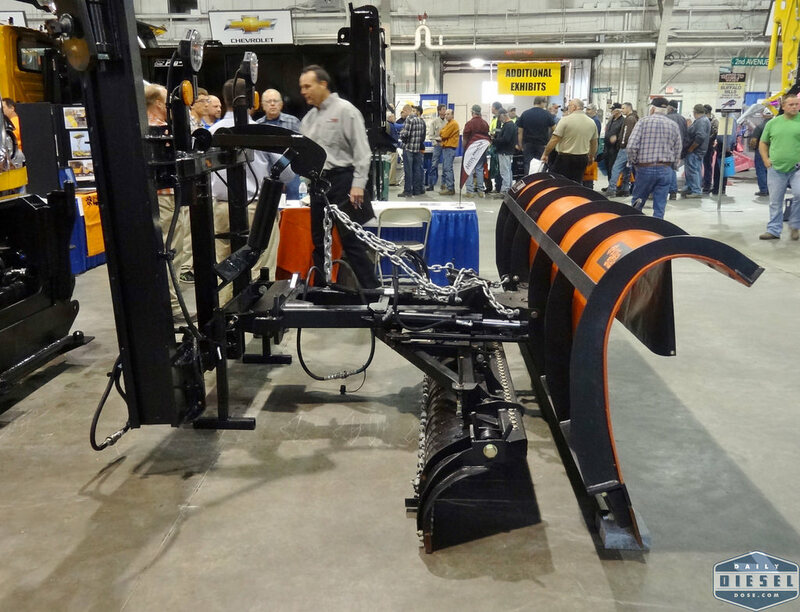 Of the many vendors on hand one was heavy truck outfitter Trius. 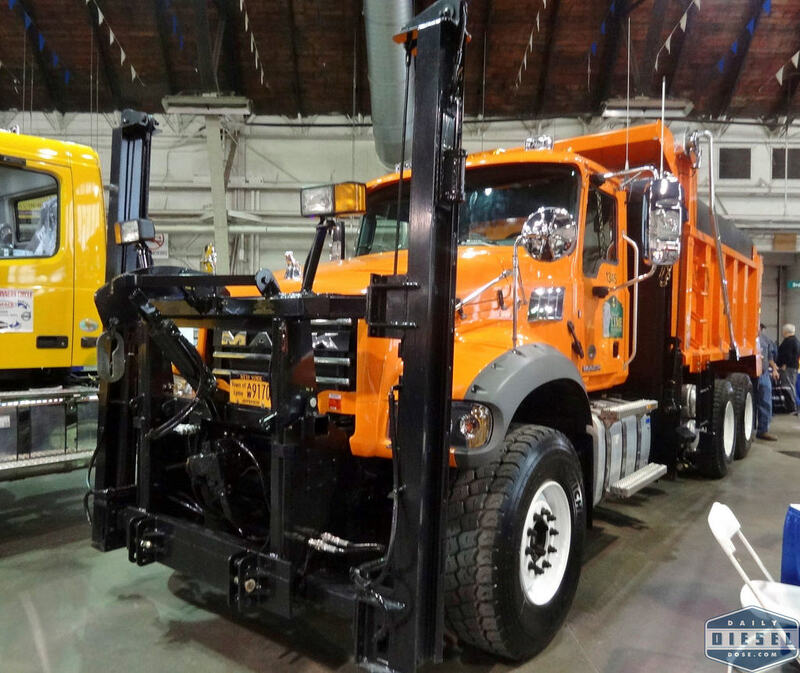 While they didn’t bring a truck to the event (that I know of) Clarence did find this impressive looking Oshkosh on the lot of their Fort Edward, NY location. Those Penn Turnpike Macks in the background look absolutey puny by comparison. 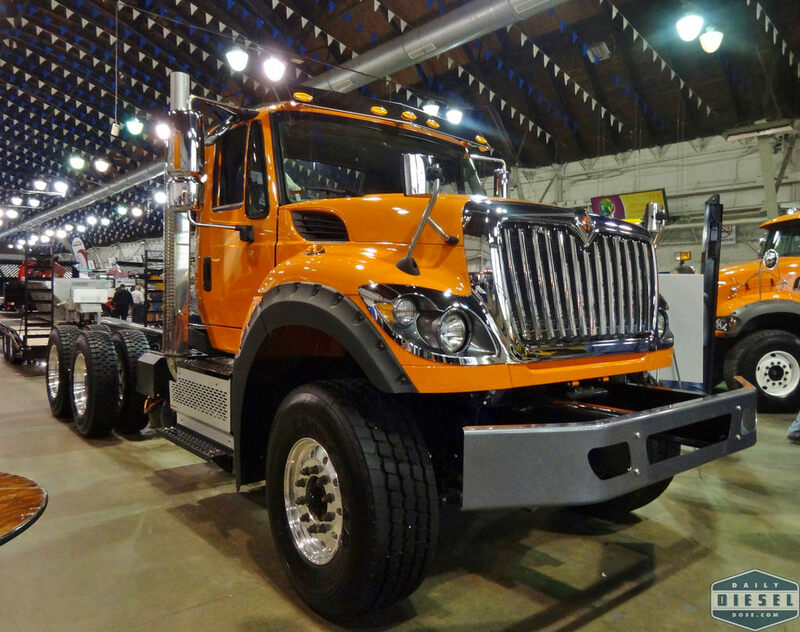 Below you’ll find a gallery with more from the show plus two truck from spotted at the local International dealer a few weeks ago. 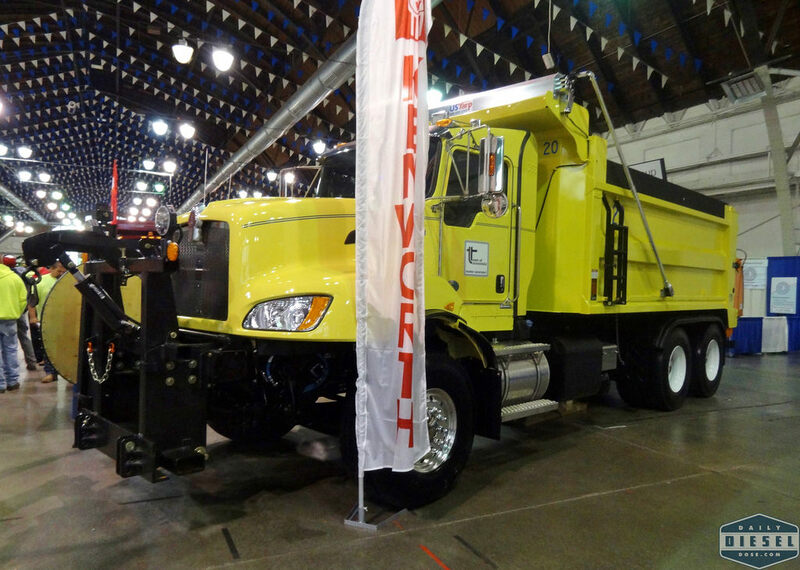 The first two trucks were spotted weeks before the show at the local International dealer. 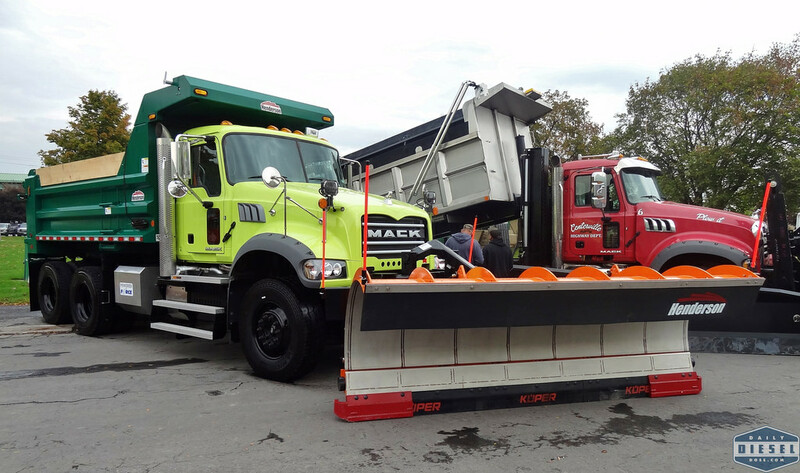 In order, a plow with plow, Town of Lyme Mack Granite, stock WorkStar, International DuraStar for Morristown, stock WorkStar, Town of Centerville, WorkStar for City of Dunkirk, Mack Granite for City of Rochester, WorkStar for Town of Plymouth, and a big ol Kenworth for Tonawanda. 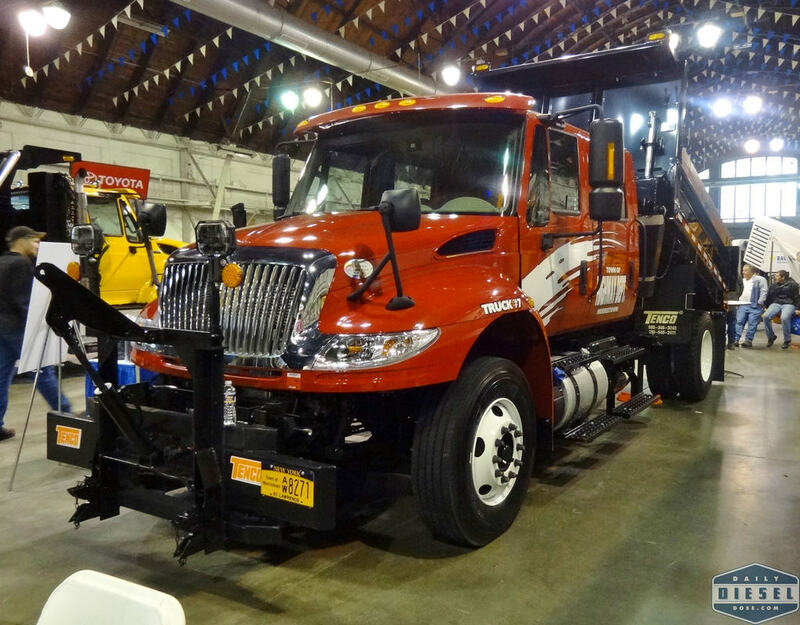 This entry was posted in Truck Show and tagged nys highway expo. Bookmark the permalink.